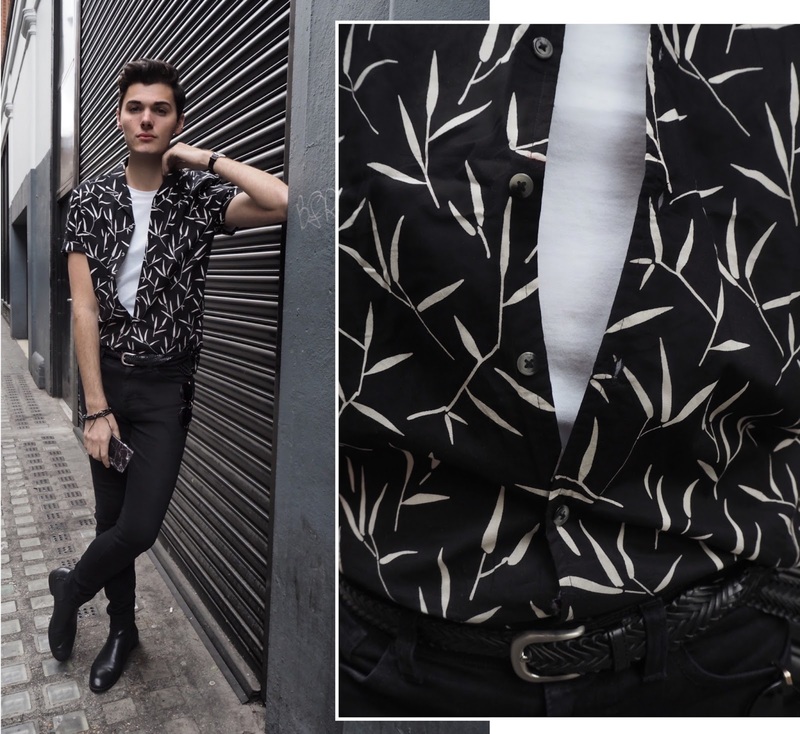 Heavily patterned or printed shirts can be a scary territory for some people, but this season they're all over the high street and online. I've already added a few of them to my wardrobe and wanted to share one of my favorites with you. From minimal leaf prints to neon flowers and animal skin, there's a wide variety out there to suit most tastes and to add that Havana inspired flair to your clothing collection. Whether you want to wear it tucked in or out, the revere collar shirt looks great on most of us guys as we head into summer. The slightly boxy fit and open neckline make it perfect for layering like I've done here. I'm not one to wear a huge amount of colour which is why this black and white number was a great way for me to join the trend and add a printed number to my wardrobe. I wanted to stick with the black and white colour palette and kept it simple by opting for a skinny jean and black accessories. I didn't want to over do it on the colour front, and wanted the shirt to be the stand out piece.